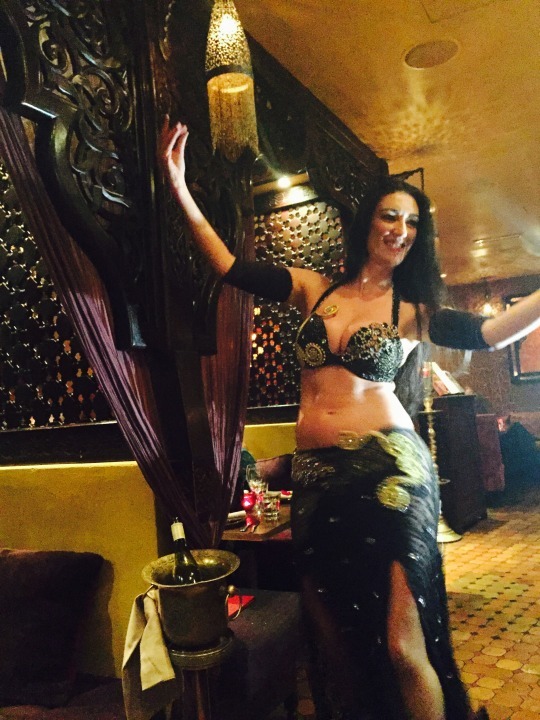 The Kenza website told us that we would be ‘charmed by Middle Eastern hospitality as [we] relax into a crush of satin cushions’ and relinquish ourselves ‘to the intensity of the night as belly dancers entice you to revel until dawn.’ All this near Liverpool Street and by 9pm too! This was a very nice meal. The restaurant was full and atmosphere buzzing as we enjoyed some great hummus and other dips to start, followed by tagines (£18) and Mashawy mixed grill (£22.95). It wasn’t the best value venue we’ve been too, but then we did get entertainment thrown in. The belly dancing was great fun, although we obviously and studiously avoided eye contact to avoid being asked to do a live demo for the crowd. 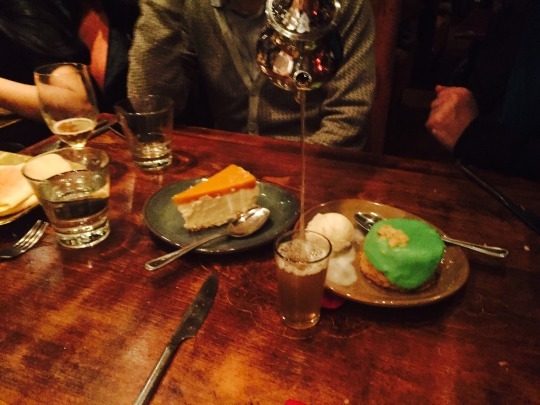 Any dessert is a treat on our global challenge and the mango and vanilla cheesecake (£6.95) and pistachio and tahini cake with ice cream (£6.95) weren’t bad at all. Hot mint tea hit the spot.